By looking closely at trademark filings made by automakers, we can sometimes predict what upcoming models will be called before carmakers reveal them. 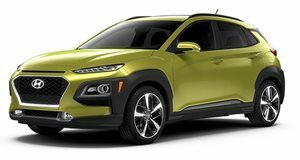 The name of Hyundai's upcoming Venue sub-compact crossover was discovered prior to the official naming reveal and we have already seen leaked photos of what the new model will look like. Now that we know Venue will be the name of a sub-compact crossover below the Kona, there a few other trademarks out there that remain a mystery. The Palisade name has already been used, but we still don't how Hyundai plans to use the names Grandeur and Leonis names in the future. Now Hyundai has submitted a patent application for yet another name with the New Zealand Trademark Office - let the speculation begin. The name Hyundai has chosen is ‘Pavise', which is a medieval shield used by archers and crossbowmen during sieges. We'll admit, the name sounds kind of cool but we have no idea what type of vehicle it will be affixed to. Hyundai has been rumored to be working on a rugged SUV above the Palisade to rival the Toyota Land Cruiser, so a name like Pavise could fit perfectly on a tough off-roader that can keep occupants out of danger on rough terrain. 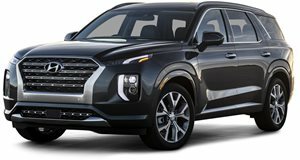 Another possibility could be Hyundai's rumored pickup truck, which will likely ditch the Santa Cruz name used on the concept. There's also a good possibility that the Pavise could be a model we haven't even thought of, like a coupe version of the Palisade or a sporty roadster. It may also be that Hyundai doesn't have any immediate production plans for this name and it may just appear later on a concept car. Hyundai trademarked the name 'Styx' over a year ago and we haven't seen any production model emerge with that name, so perhaps the Pavise name won't be used at all.